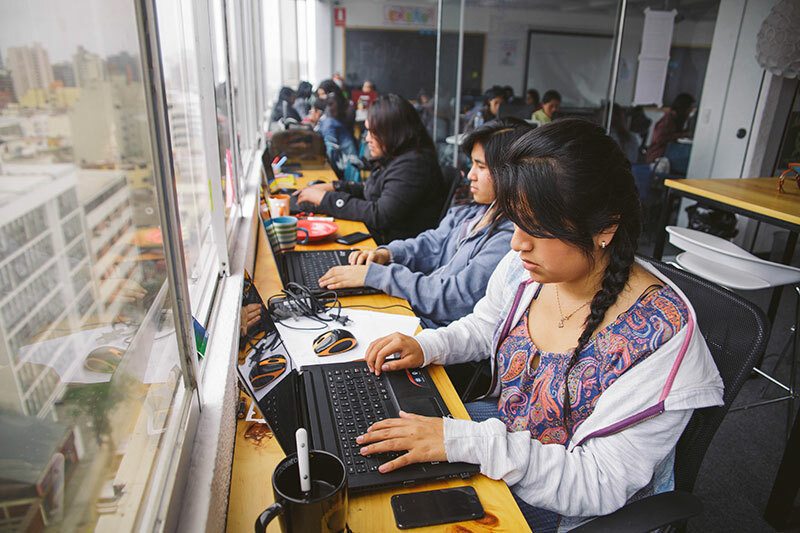 By the end of 2016, Perú-based Laboratoria will have turned 400 young women from low-income backgrounds into highly skilled web developers. Graduates of the bootcamp triple their income once they’re hired as developers. We talked to Herman Marin, Laboratoria’s Co-founder and Global Workforce Director, to find out more about how his team designs for social change. We have 3 core teams responsible for designing and continuously improving our strategic processes: selection, training, and job placement. Each team is organized into smaller squads that are multidisciplinary, regional, and autonomous. 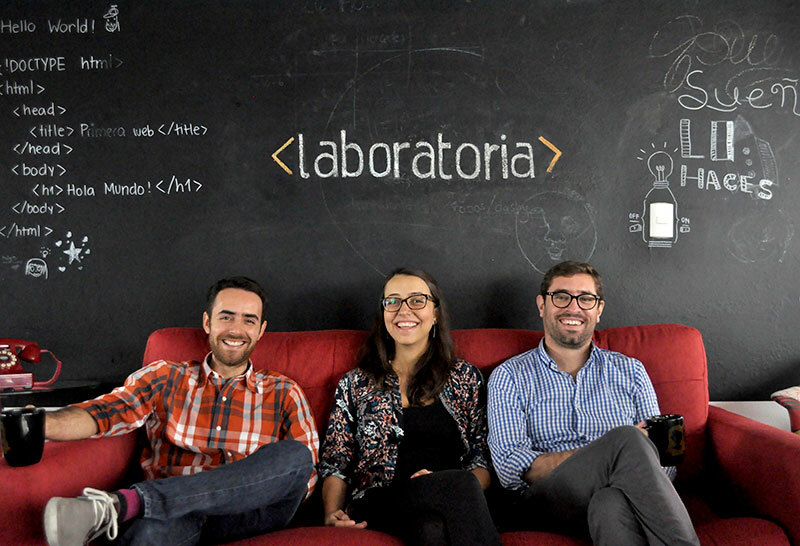 The goal of these squads is to leverage the talent we have at Laboratoria and create value for their internal or external customers (our applicants, students, graduates, and hiring companies). Each squad works under agile principles. They set goals every 2 weeks and do daily meetings to track their advances. At the end of every 2-week sprint, the squad gets together for a retrospective where they review their successes and failures. Our work in regional teams under agile principles has been key to our growth—and it allows us to constantly innovate. From our country leads to our teaching assistants, we’re all passionate about our mission and empowered to make our program better every day. We’re committed to learning from experience, both the good and the bad, and we’re united by the passion of creating a social impact in our countries. Everyone here believes that we need to reshape how society creates equal opportunities for every citizen. Every day we’re inspired by the stories of the girls who achieve their dreams by building a career in the digital sector. We’re all about training great developers with the strength to overcome the most complex challenges, and to inspire their own teams to create solutions to solve the world’s biggest problems. We mainly use Slack: Each squad in the organization has their own channel that they use for daily coordinations and sharing important information for their processes. We also have channels that bring together all teams across countries to share stories, updates, and achievements. Slack is a great tool to build a feeling of community when your team isn’t all in one place. We also use Trello to track progress. Besides that, we’ve set up our office to have lots of open spaces that invite team collaboration. Tell me about Laboratoria’s mission. Why did you start it? Three years ago, Mariana, my wife and co-founder at Laboratoria, was about to graduate from Columbia University. We formed a partnership with Mariana’s classmate, Rodulfo (who’s now a co-founder of Laboratoria). After spending several months attempting to create the next big thing in digital—and failing miserably at it—we decided we’d be better off with a simple web development company. We called it AYU. We were able to quickly get a good number of clients, so we started to recruit new team members to handle all the incoming work. It took us a long time to find the right people—few of them had the credentials to be part of a competitive development team, and, as you may suspect, all of them were men. That situation sparked the idea to prepare talent ourselves based on our needs. 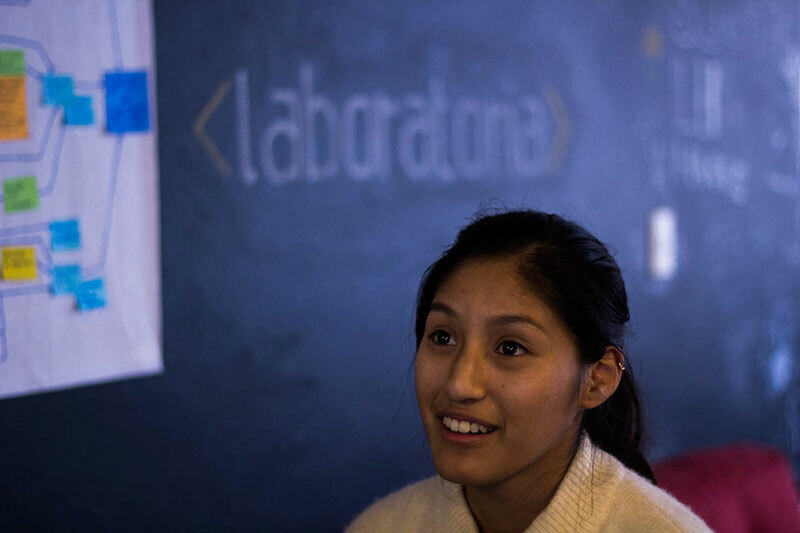 Mariana took the leadership role on an exploration process to better understand the tech sector in Lima. We found that only 7% of web developers were women, companies were desperate for developers, and they could not care less whether a worker had a formal university degree. That’s when it all came together. 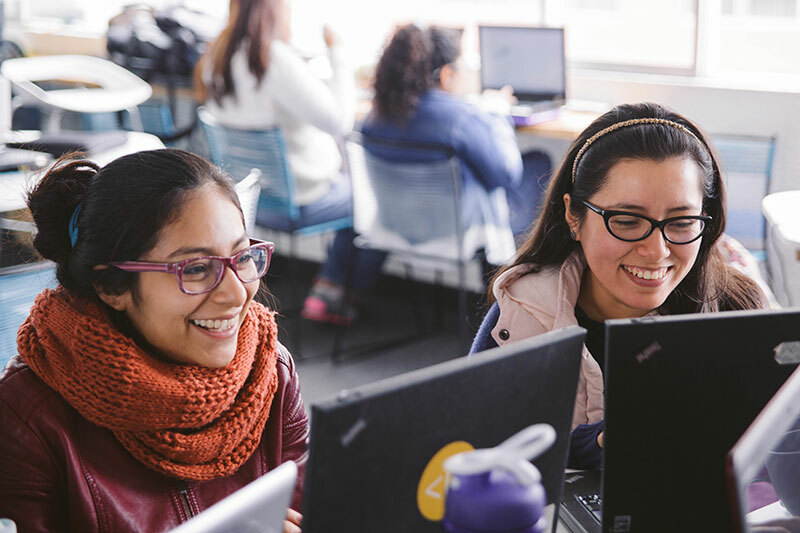 We ran a pilot program to train young women as developers—we focused specifically on girls who came from low-income backgrounds and weren’t able to afford college. We called it Laboratoria. Knowing we had to use our few resources wisely, we decided to use Lean Startup as the methodology to implement the experiment. We had to see if we could effectively train young women from low-income backgrounds as front-end designers in a few months, and place them in jobs in the digital sector. 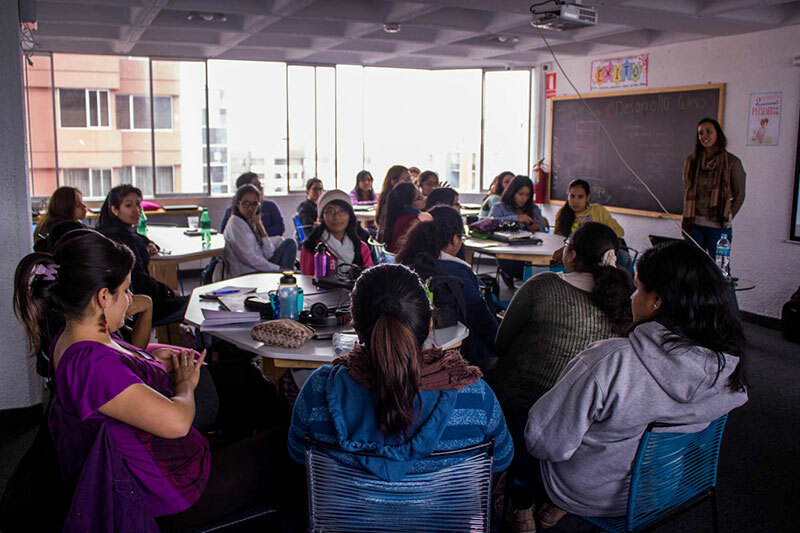 We got donated laptops and a cool classroom, and we built partnerships with local nonprofits to select a group of 15 young women and launch Laboratoria. 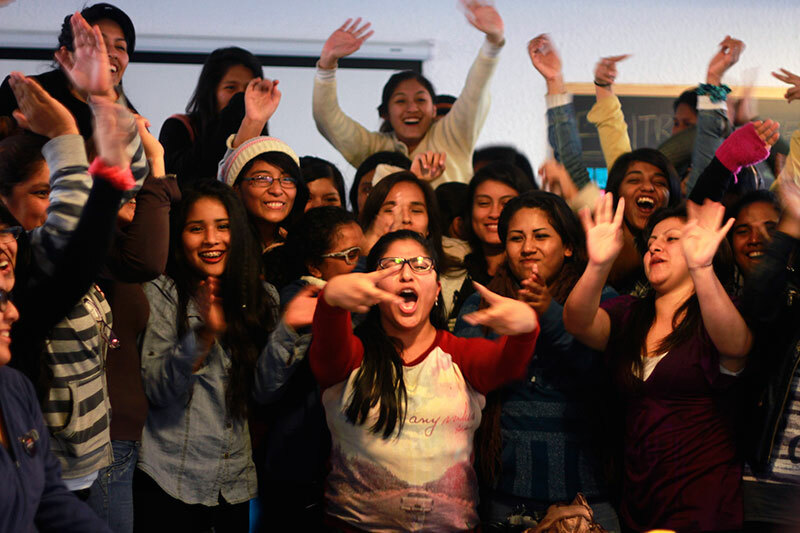 We’ve learned and grown quite a lot since then—we now have a presence in Perú, Chile, and Mexico and will have trained over 400 girls by the end of this year. Dedicating all your time to “do good” isn’t always realistic, but what do you recommend to designers who are looking to help change the world? Always look beyond your comfort zone. Impacting society isn’t a difficult thing—it’s a matter of getting to know the issues that many people face every day around the world. Drive yourself to do something on your own action field. When you discover where you can contribute, go for it and give it your best. That can mean volunteering with an organization or creating your own initiative—it doesn’t matter. What’s important is making a difference in some way. Designers have an amazing advantage to bring about social change because they have the skills to identify insights and the sensitivity to propose revolutionary ideas to change the status quo of many problems in the world. That’s a powerful tool to have, so make sure you’re using it. Before moving to Perú and starting Laboratoria, I spent many years in Washington, DC doing online organizing for advocacy groups, which taught me about how technology can influence the way we build our society. I always wanted to use that knowledge to create some kind of impact in my own region. I was also lucky to have met my partners to start Laboratoria. The mix of our skills has enabled us to build, learn, and grow together. InVision is a very important tool for us—we use it to test the improvements that we create in our learning management system. Every time we need to change a functionality, we build a prototype and test it with students to gather feedback. In the classroom, InVision helps students create experiences with prototypes before they start coding. That way they learn the principles of creating a better experience by gathering user feedback before doing the hard work.